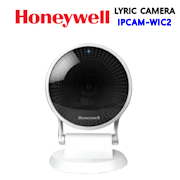 Please Note: The Honeywell Lyric Verizon cellular LTE wireless security system is coming soon! The Honeywell Lyric Cellular Verizon LTE Security System Kit is not just another all-in-one wireless security system, it's part of a new wireless connected platform. 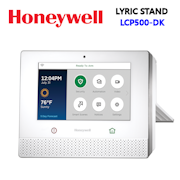 The new Honeywell wireless connected platform has four key components; the Lyric Controller (LCP500-L), a new line of encrypted SiX-Series security sensors, integrations with the Honeywell Lyric WiFi thermostats and Skybell HD video doorbells. 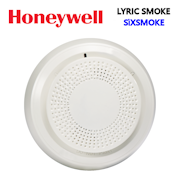 The Lyric System is compatible with previous Honeywell 5800-Series manufactured wireless sensors and detectors except for bi-directional devices such as the 5800WAVE wireless siren and 5828/5828V wireless keypads. The 5800-Series compatibility allows you to reuse existing devices on the new Lyric platform. 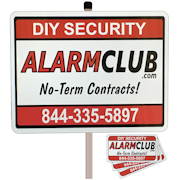 This Lyric wireless cellular security system kit includes; Lyric Controller w/battery and transformer (LCP500-L), Verizon LTE alarm communicator (LYRICLTE-V), three door/window contacts (SiXMINICT), one motion detector (SiXPIR), and a 2-way remote keyfob (SiXFOB). Honeywell has made some major upgrades for the DIY security system market by internalizing the WiFi and Z-Wave radios into the Controller and adding a dedicated cellular communicator slot on the side of the control panel where you simply install the Verizon LTE (LYRICLTE-V) cellular communicator. The Lyric cellular communicator can be replaced at any time, to increase flexibility in communication providers, as some areas in the country may have better cellular service with one provider over another. 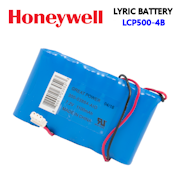 To future proof the Lyric System, Honeywell has allotted another radio input for future compatibility in the event there are changes to the current radio standards. This feature is located directly above where the current cellular communicator is to be installed. For DIY installations of the Honeywell Lyric Security System we recommend adding the (LCP500-DK) which is a desk mount that requires no drilling and the (LT-CABLE) which is the 8' foot power cable. By using both of these products together the DIY installation becomes much easier. 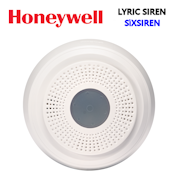 Batch programming - While Programming SiX series wireless sensors into the Lyric Security System instead of having to individually learn in their serial numbers to connect you can now activate and assign all of the serial numbers by pulling the battery tabs out of your new security sensors. The Lyric Security System is then smart enough to assign these sensors to a dedicated zone. Once you have completed pulling the battery tabs out of the SiX-Series wireless sensors you can go back to the alarm control panel to make adjustments on how you want those sensors to react if triggered. Batch programming reduces the overall time used in the installation process. 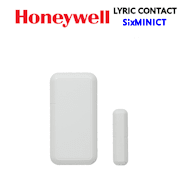 Batch programming is only available with the newer Honeywell Six-Series sensors and not with previous 5800-Series sensors such as 5816 contacts, 5800PIR motion sensors or 5834-4 wireless key fobs. 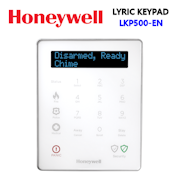 Smart Scenes - This is one of the best additions to the Lyric Security System because it consolidates older Honeywell LYNX programming modes called "scenes and rules" into what is now called smart scenes. Once a Z-wave home automation device is learned into the controller all you have to do is go to smart scenes to enable that device into a smart scene which tells that sensor how and when to act. This makes the programming of Z-Wave home automation devices into the Lyric Controller one step easier! GeoFencing - With activation of Total Connect 2.0 and a Second Generation Honeywell Lyric WiFi thermostat you can set up a Geofence which is you where you set up a perimeter distance for example 500 feet from your location and anytime you cross out of the set Geofence your Lyric System can arm itself, close the garage door and raise your thermostats temperature. At the same time when you cross back over that Geofence within 500 feet of your location, your controller can, for example, lower your thermostat and turn on a front porch light. The GeoFencing feature can be manipulated and customized to include the accessories of your liking and doesn't have to be setup how we described. 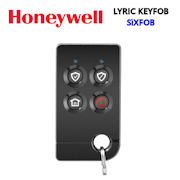 In order for the Lyric Security System to be able to control your garage door, you must also have the Honeywell 5877GDPK-KT1. The 5877GDPK-KT1 enables remote control of the garage door and can tell you the current status whether the door is open or closed. 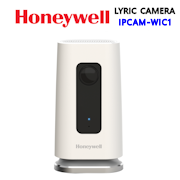 Front Mounted Camera - The Lyric Security System has added a built-in 2-megapixel security camera on the controller, so that when the security system has disarmed a notification with photo can be sent to you in the form of a text message and email notification. 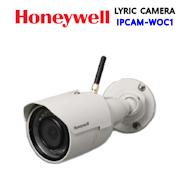 In order for the camera feature to work, you must have Honeywell Total Connect 2.0 video surveillance services activated. 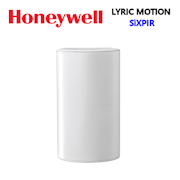 Built-in microphone - The Honeywell Lyric Controller can now receive voice commands to control Z-Wave automation smart scenes and other features with the use of the built-in microphone. 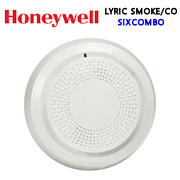 There are three basic commands the Lyric alarm control panel will understand Hello Lyric, Hello Lyric home, and OK Lyric. Once the trigger word has been stated you can then follow with your automation smart scene names such as Arrive home or Bedtime. These Smart Scenes can include an array of devices and simultaneously lock a door, lower a connected thermostat, turn on/off or dim lights, close or open a garage door, etc. These automation smart scenes are limited to the connected Z-Wave devices you have. 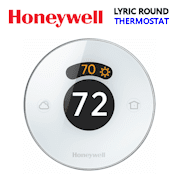 A new feature of the Lyric Security System is its integrations with the Honeywell Lyric smart thermostat. The Lyric thermostat is a second generation WiFi compatible device that can control your home or business temperature from just about anywhere while using your smartphone application that can be found in the Apple App Store or Android's Google Play. 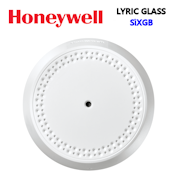 The Lyric Thermostat will alert you when your filter needs to be changed and can be controlled with Apple HomeKit. The main purpose of this thermostat is to save energy and have the ability to set your desired temperature before you arrive whether that is cooler or warmer. The Lyric System has also added integrations with the Skybell Hd Video doorbell as long as it is the dedicated Honeywell DBCAM-TRIM version. The SkyBell is a high-definition video doorbell that lets you enjoy new levels of security, control, and convenience wherever you are in the world. With Skybell you can remotely check doorbell activity on the Honeywell Total Connect® 2.0 Remote Services app, and see, hear and speak to visitors at your door from iPhone® or iPad®. 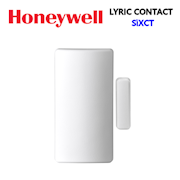 When you activate Total Connect Remote Services to be used with the Lyric Security System, you can control the security, compatible IP cameras including, thermostats, Z-wave lighting, Z-wave locks and receive text and email alerts from most smartphones, tablets, and computers.